Music Audience Exchange (MAX) is a technology company that helps consumer brands and music artists form mutually beneficial partnerships to drive measurable results. Our platform uses proprietary consumer data to identify shared audiences, facilitate authentic partnerships, and tell shared stories everywhere fans engage with music. Every MAX program consists of brand-artist partnerships, custom content, targeted reach, and live experiences. MAX Artist Matching Engine is a searchable database of over 2.4 million artists. Through a series of simple attributes, brands and agencies can find a musical artist that's the ideal match for a campaign. When you need music for commercial use, the engine examines music type, most popular markets, audience sizes, and more to show you the best artists to fit your brand’s marketing program. MAX Genre Matching Engine uses data to match brands with artists based on the musical preferences of your target audience. Set up a single group of your target consumers by selecting from hundreds of key attributes, customized and weighted, to create a single coherent persona. MAX aims to help you captivate your consumer by giving them meaningful experiences with their favorite artists. The MAX platform can extend your message into live shows, retail, VIP contests, and more. Music Audience Exchange (MAX) is a technology company that helps consumer brands and music artists form mutually beneficial partnerships to drive measurable results. 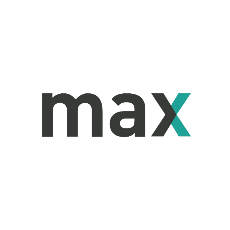 MAX helps brands looking to reach a broad or niche audience by connecting them with nationally recognized or up-and-coming artists in digital content and ads. MAX offers extensive data to build brand-artist partnerships of all shapes and sizes that drive measurable results and make your job less complicated. Our platform uses proprietary consumer data to identify shared audiences, facilitate authentic partnerships, and tell shared stories everywhere fans engage with music. Every MAX program consists of brand-artist partnerships, custom content, targeted reach, and live experiences.